Q. Please introduce Clip Studio’s features and brief history, for those who are not familiar with it. Clip Studio Paint is a digital art software for illustration, comics, and animation. It was released in 2012 and has since been used by over 4 million artists around the world. It is loved by artists across a spectrum of genres and levels, from students drawing for fun to professional artists in many industries. We provide the software in seven languages (English, Japanese, Korean, Traditional Chinese, French, Spanish, and German), and released an iPad version in 2017 in addition to the original Windows and macOS versions. Q. Clip Studio is well known for direct and easy-to-learn user interface. What’s your priority on developing the program? We always aim to work on new developments and technology with the user at the forefront. When we regularly update Clip Studio Paint about every three months, we respond to user feedback and requests as well as providing totally new and unique developments like our AI colorization and Pose Scanner. Our aim isn’t only to provide features that are useful for a professional atmosphere or to improve efficiency, but also developments that help users experience the fun of creation. Q. Some of the artists say the digital paintings are the same since it doesn’t have material factors. Therefore, the styles cannot be diverse. What’s your thought on the view? And is there can be any solution for the problem? We believe that Clip Studio Paint is a tool for artists to use just like watercolors, oil paints, markers, and pencils. While some effects can only be achieved with traditional art supplies, others can only be achieved in a digital environment. We fully recognize the benefits of traditional tools and try to include these in the digital software as it evolves. Our hope is that artists will choose Clip Studio Paint as the most suitable tool for the style they want to create. Q. I heard that there are frequent updates for professional artists. How do you get feedback for which things to improve or upgrade? Naturally, we sometimes receive direct requests from professional artists, and we also interview professionals from time to time and monitor social media for requests. We’ve previously had the opportunity to ask for feedback from Komacon (Korea Manhwa Business Center). This information is used for new product development and updates. Q. 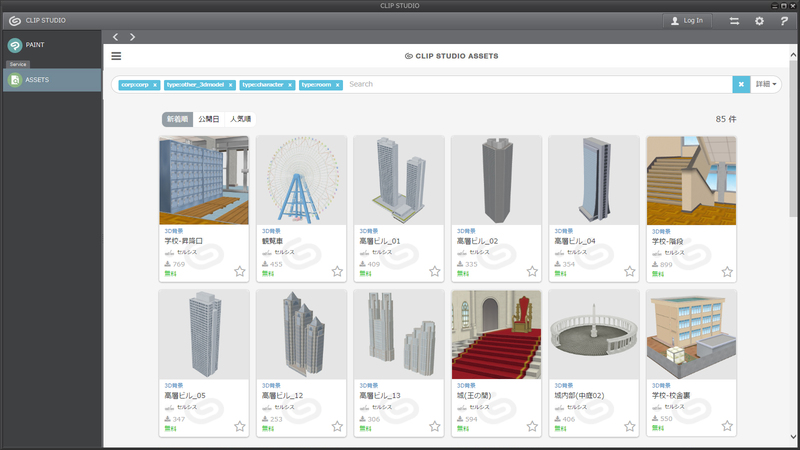 There are many assets in Clip Studio assets online market. And they can be used both commercial and non-commercial use. What’s your vision on this page? And how you are going to improve it? We provide several community services to support creators, and Clip Studio ASSETS is one of these. Clip Studio Assets was created with the aim of letting creators publish or sell their materials to artists over the world, as well as to provide creators with more materials useful for their art. We will continue to improve this service as a place where creators can provide materials safely and reliably. Q. In Clip Studio, 3D models are also available. Many Korean webtoon (scroll-view comics) artists are using 3D models to create the backgrounds. There are some of the 3D background assets on the market. How do you see these flows? A lot of Korean webtoon artists use 3D materials in Clip Studio Paint to improve their work quality and speed. 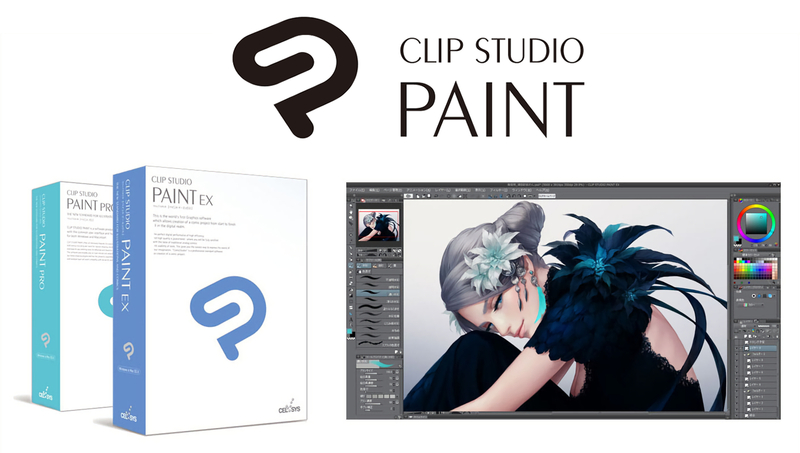 We’d like to continue to come up with new ideas and features to help artists work efficiently with Clip Studio Paint. Q. Some of the artists use Clip Studio says it is too “heavy” to render. It’s natural when you think about Clip Studio’s performance and the devices are going way better than ever. But still, not everyone has the cutting-edge devices. How do you see the problem and how do you plan to fix it? So far, we’ve worked on improving the speed of the program, optimizing save formats, making files lighter, and making 3D objects display faster. These improvements aim to create a better experience on a variety of devices. We aim to support artists through technology so they can enjoy creating digital art. We’d certainly like to look into a compact version if it’s something that we’re able to do. Q. In Korea, comics are often consumed as the form of “webtoon” as I told you before. It is different from Manga and American comics. How do you see the Korean market? The Korean comic industry is a great environment for creators. 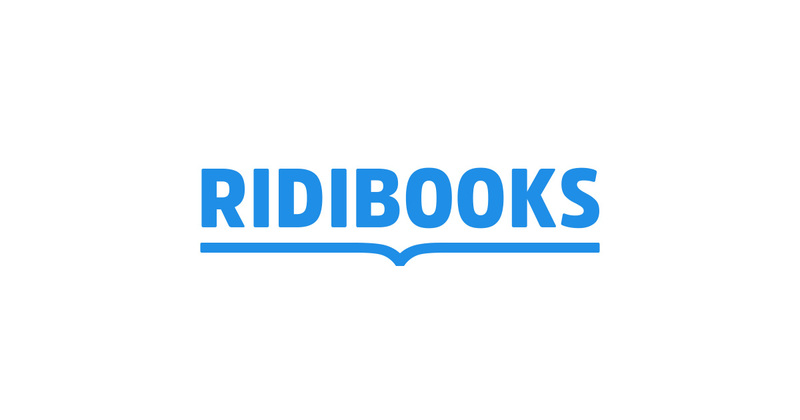 As the Internet is used more and more for reading webtoons, more people get inspired and decide to make their own webtoons. It’s a good cycle. Q. Korean artists say Clip Studio is the best tool for webtoon. 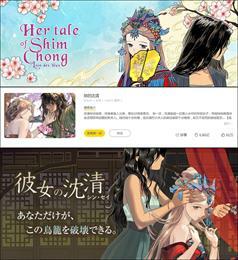 Since it can create webtoon with full-color and almost every kinds of graphic files. Are there any features you adapted for webtoon artists? As you said, Clip Studio Paint can be used for full-color comics and color illustrations, so it’s perfect for creating webtoons. Some favorite features of webtoon artists are the tools to easily create speech balloons and comic panels, as well as the 3D drawing figures. We also recommend Clip Studio SHARE for publishing webtoons to read online. 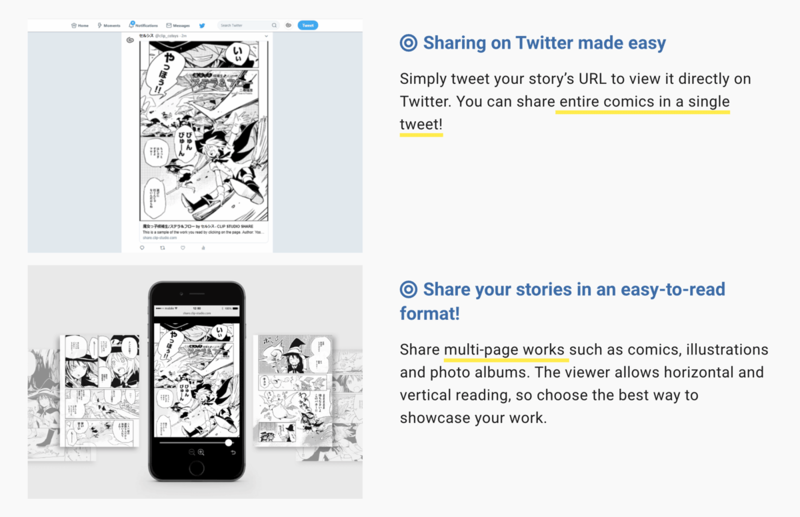 Comic artists can easily publish their comics or webtoons to Clip Studio Share, then display in a online viewer format that supports scroll-down comics. Simply upload the image data and add basic information to generate a URL, then use this URL on social media like Twitter or blogs to create an embedded viewer in which you can read the entire comic. Anyone can use this service if they create a Clip Studio account, even people who don’t use Clip Studio Paint. Q. The environment is rapidly changing in IT field. It’s not only hardware but also the software. In the future, VR/AR comics has potential to be popular. What’s your vision as a comic creating tool program developer? As we mentioned earlier, we are working hard to develop cutting-edge new technology and techniques. We’ve been researching artificial intelligence (AI) features for a few years, and have used the results of this in the following features. ■ Colorize: This automatically colors line art using just the line data or with color hints. ■ Remove tone: This removes screentone effects from comic pages, or converts the screentones to grey. We’ve had great feedback from users about these features, and we plan to continue developing more cutting-edge features as we move forward. Q. Please give your closing comments for this interview to the Korean artists. We want to give our appreciation to all the artists in Korea who use Clip Studio Paint. A lot of materials published on Assets by Korean users are popular in Japan and around the world. The webtoon comic style born in Korea has also become a popular form of comics here in Japan. We look forward to seeing what great new art you’ll create with Clip Studio Paint, and we’ll continue to support artistic endeavors however we can. We’d like to introduce our other free services for creators: TIPS, where people can learn how to use the software, ASK, where creators can share advice and help each other with questions, ASSETS, where uses can publish and download materials, and SHARE, where comic artists can publish their stories. We also have year-round support by experienced staff to help creators in all aspects.